DO I NEED TO BUY A KAYAK BEFORE MY FIRST KAYAKING TRIP? DO I NEED TO TAKE LESSONS? I DON’T WANT TO TAKE LESSONS. WHERE CAN I RENT EQUIPMENT? 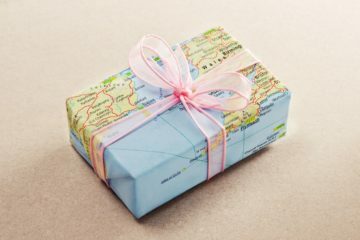 WHERE SHOULD I GO ON MY FIRST TRIP? 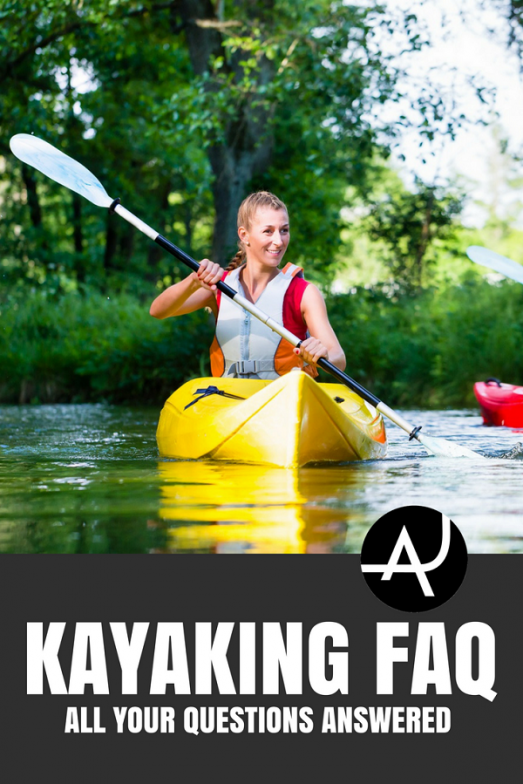 WHAT SHOULD I TAKE WHEN KAYAKING? HOW DO I GET IN AND OUT OF A KAYAK? WHAT IS THE PROPER PADDLING TECHNIQUE? HOW DO I TURN AROUND IN A KAYAK? I’M READY TO BUY MY OWN EQUIPMENT. WHAT DO I NEED? WHAT ARE THE BEST DESTINATION KAYAKING VACATIONS? 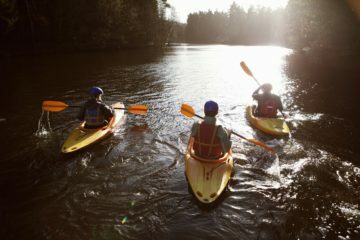 Have you ever longed to spend a day on the water in a kayak, but don’t know the kayaking basics? 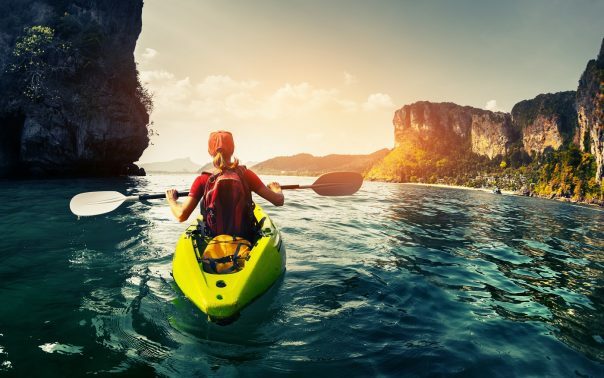 Kayaking is beneficial to both body and mind as it’s a wonderful way to get exercise, offering beautiful scenery on lakes, rivers or the open ocean. From a distance, the sport of kayaking seems rather simple. While there’s no steep learning curve, kayaking is actually more technical than its sister sport, canoeing. 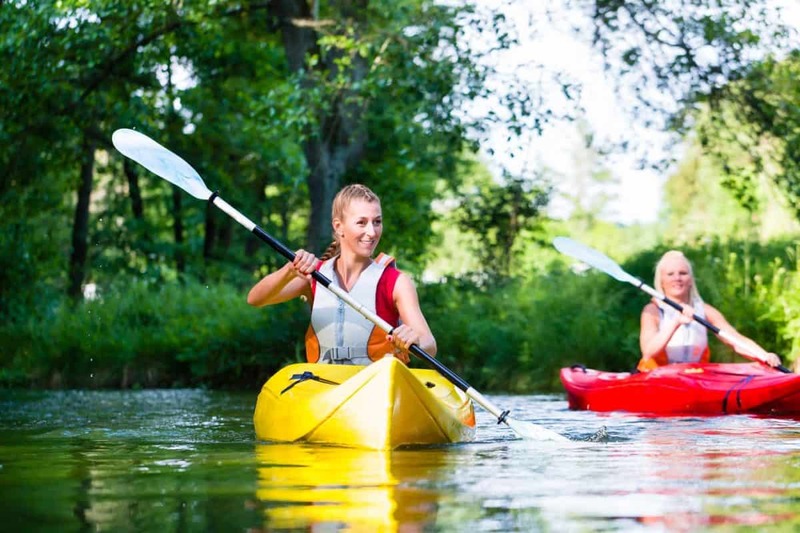 A basic understanding of proper procedures will ensure that your first kayaking experience goes smoothly. 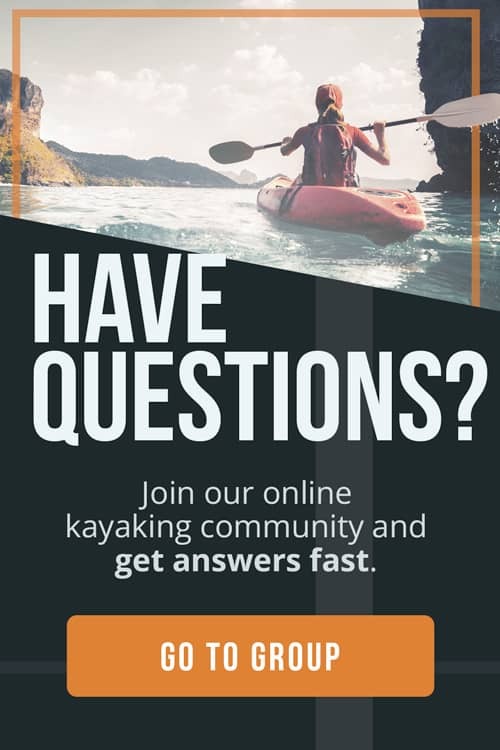 Here at The Adventure Junkies, we work hard to answer your most frequently asked questions on outdoor adventure sports. Our guides can be helpful to everyone, from beginners looking to try new things to weekend warriors needing to brush up on their basics. No. It’s best to either take lessons or rent equipment at a lake with a lifeguard on duty. It’s not absolutely necessary, but we recommend that you do. 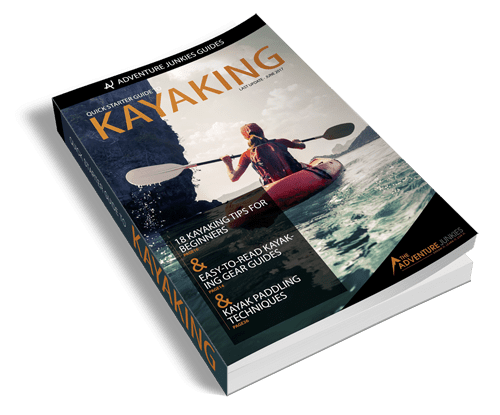 While friends who own kayaks will be able to get you out on the water, there’s no guarantee they’ll be able to teach you proper technique which is a huge part of enjoying kayaking. Many first-time kayakers use unsuitable technique and consequently strain their neck, back and uselessly tire their arms. These errors eventually leave them feeling discouraged. As with any endeavor, if you’re going to do something, do it right. Most lakeside rental booths will be able hook you up with all the necessary equipment. The basic package includes a kayak, personal flotation device (PFD) and one double-sided paddle for each kayaker. Sometimes, outfitters offer tandem kayak rentals for those who are more comfortable being together in one vessel. Just make sure to seat the heavier person in the back. Also, never leave the shore if PFDs aren’t provided. It’s best to practice on lakes. Rivers with even a mild current can overwhelm those new to the sport. Once you feel comfortable on your own, consider signing up for an outdoor group excursion where necessary equipment will be provided as well. If group activities aren’t your thing, rent your own gear and plan a trip on a scenic lake or lazy river. Take plenty of water, a snack, sunscreen, a hat and extra layers of clothing on your first trip even if it is just a lesson. Good habits last a lifetime. A drybag will come in handy if you plan to take your cell phone or other electronics and is a good asset to have for many different water sports and activities. Drybags are sealable, waterproof bags designed to keep electronics and valuables safe should the bag be exposed to water such as when the kayak tips. Hold your paddle in the center with one hand and place it across the kayak a couple of feet in front of the seat, where your knees or shins would be if you were sitting. Place your other hand on top of the seat’s back. Your body should be anchored perpendicularly to the kayak. Step in first with the foot closest to the seat. Do this at an angle where you can sit down immediately without having to adjust your feet. Adjusting your feet could rock the kayak. The paddle acts as a handrail and stabilizes the kayak as you step in, so feel free to put weight on both the paddle and the seat back. Choose a place on the dock if you can where the kayak is as close to the dock as possible, minimizing the distance you have to step down. Hold on to the dock with one hand and the seat back with another. Step in at an angle and sit down smoothly. If you’re having trouble visualizing the descriptions, KayakPaddling.net offers some great animations on entering and exiting a kayak. Paddles typically have the brand logo on one side and not the other. You want to be able to read the brand logo from your seat in the kayak. If you are holding your paddle properly, the longest edge of the paddle blade will be on top. It will curve down to a shorter edge on the bottom, with a legible brand logo printed somewhere on the blade. It’s important you understand that the most efficient paddlers use the least amount of energy. Sit up straight and face forward. Keep your hands and wrists in line with your arms. Lightly grip the paddle with your hands approximately shoulders’ distance apart and equidistant from the center of the paddle on both sides. Over-gripping will waste energy. It may seem natural to mainly use your arms to make the strokes, but your core is stronger and will last much longer. Instead, rotate your torso from left to right while keeping your arms slightly bent and fixed. To ensure you’re properly balanced, not overextending or wasting energy, be sure to keep your back pressed against the seat. Sitting forward will not only shift your center of gravity, making it easier to tip the kayak over, but also cause you to use excess energy, stabilizing your weight with your core while tiring your arms. To make your first stroke, rotate your torso to the right while reaching forward with the left side of the paddle until you are at about 50 percent extension. Dip the paddle blade into the water no more than halfway up the height of the blade. Pull firmly back while rotating your torso to the other side. The left paddle blade should exit the water at the line of your hips. Immediately afterwards, the right paddle blade should enter the water on the opposite side, repeating the progression. Read our article on kayak paddling technique for more information on the perfect stroke. There are three ways to turn around in a kayak. The first is to use the paddle as a rudder. In a moving kayak, dip the blade in the water on the side of the side you want to turn towards and drag it through the water until the kayak starts to turn to that side. The second way to turn around is to use the pedals located near your feet on both sides of the boat, which power a rudder at the rear. This works like the previous method described. The third way to turn around is by utilizing a reverse stroke. Paddle backwards on the side you want to turn on and the kayak will rotate on an invisible axis. Inflatable kayaks can be a good place to start since they are lightweight and affordable. Many will come with one or two paddles. If you prefer a solid-bodied kayak, sit-on-tops are great for beginners because you cannot sink them. There is no internal cavity to fill with water should you capsize. Sit-on-top kayaks are easier to get in and out of and can be used at the beach or on very small rapids. Lucky for you, we have a guide on the best sit-on-top kayaks. The last type of recreational kayak is called a sit-in, which does have an enclosed cavity. The best paddle for you will be the one based on your height and the width of the kayak. The wider the kayak and the taller the kayaker, the longer the paddle needed. If you’re touring with a guide, they’ll help you choose an appropriate paddle. 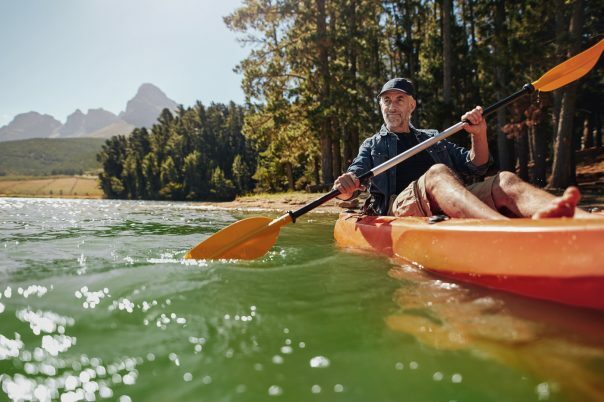 If you intend to purchase a kayak or two for your family, REI has reviewed the basics of kayak paddles. We have also compiled a list of the best paddles the industry has to offer. The most important piece of equipment on any kayaking trip is a PFD. There are a handful of different types of PFDs, but Type III is the way to go if you’re new to the sport. You should look for a vest that is comfortable, fits well but not too tightly and offers enough buoyancy to float your body weight. If you’re taking lessons, the guides will supply a PFD and even a helmet if you’re on whitewater. Never attempt to kayak whitewater without a helmet. The world is yours to explore and learn from. Check out our bucket list of best kayaking trips around the world for some stellar ideas. Whether it’s whale watching in the Pacific Ocean or jumping waterfalls in New Zealand, there’s no limit to your adventures. The earth’s surface is, after all, 71 percent water. Natalie has loved all things nature since she was a child and found at an early age that writing is the best way for her to convey her personal experiences colorfully. She hopes to inspire others to not only enjoy this amazing earth we live on, but to protect it at all costs. She owns a soap company called Pop Cauldron and enjoy songwriting, rock climbing, and spending time outside with her cats, Reginald, Hamilton, and Josephine.